When your making a long haul and want to break the drive up into two segments town parks are a handy way to accomplish this. 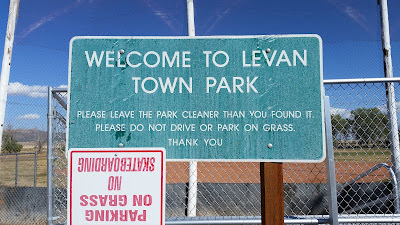 As I was driving from the Logan, UT area I drove a few hours then decided to stay over one night at Levan Town Park in the tiny Utah town of Levan. Somebody got the No Skatboarding sign upside down. 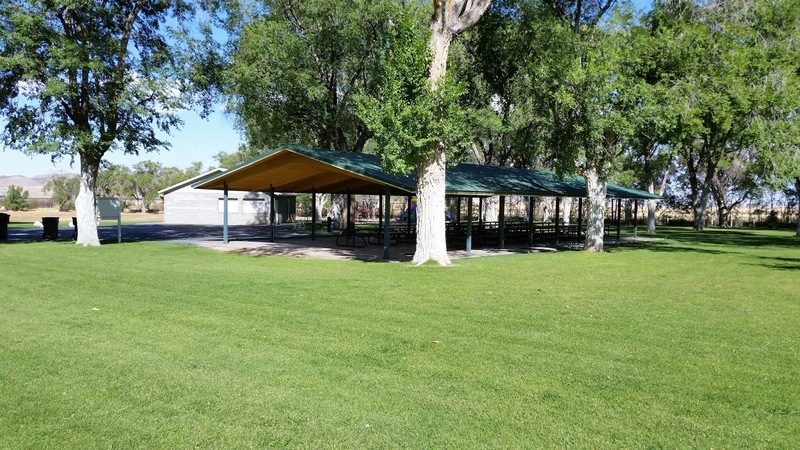 You must call the city hall and request permission to overnight in the park and the lady who answers reminds you to please make a donation in the park's metal donation box, although technically it's free to stay in overnight. I left five bucks -- if the park had a dump station I might have gone ten, but I thought five was reasonable. 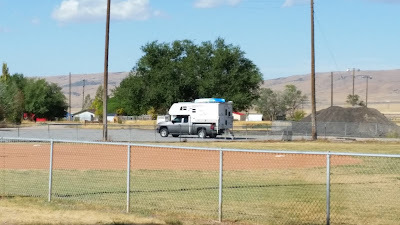 It's clear that the park management intends the RV's at the park to stay on an asphalt loop under a tree canopy but since I was relying on the Tank's solar panels I parked next to the ball diamond on a gravel parking lot where I got great sunshine. The Tank soaking up sunshine near the ball diamond. A covered picnic pavilion, note the tall shade trees. The pavilion above had live electrical outlets if you didn't have solar on your RV and needed to charge cell phones or laptops. 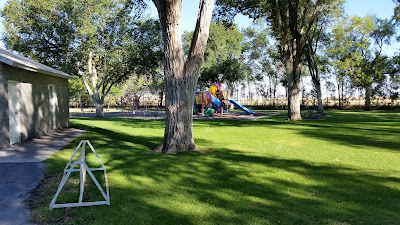 A small playground for the kiddos. 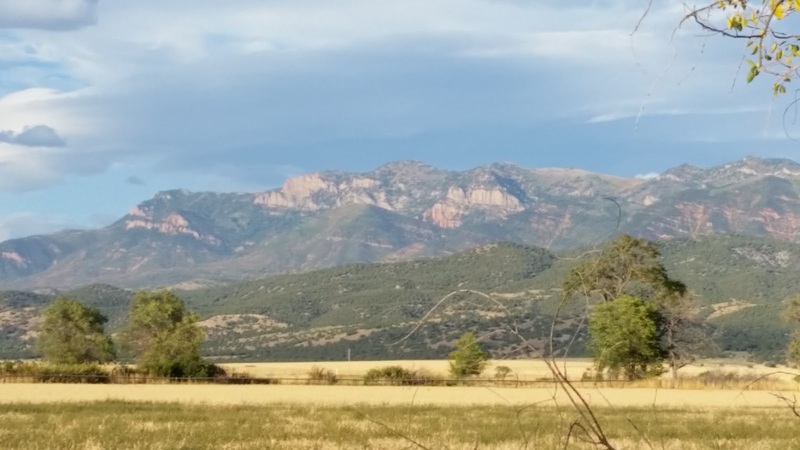 As is typical for most places in Utah there's always a view of the mountains, Levan Park is no exception. A view from Levan Town Park. 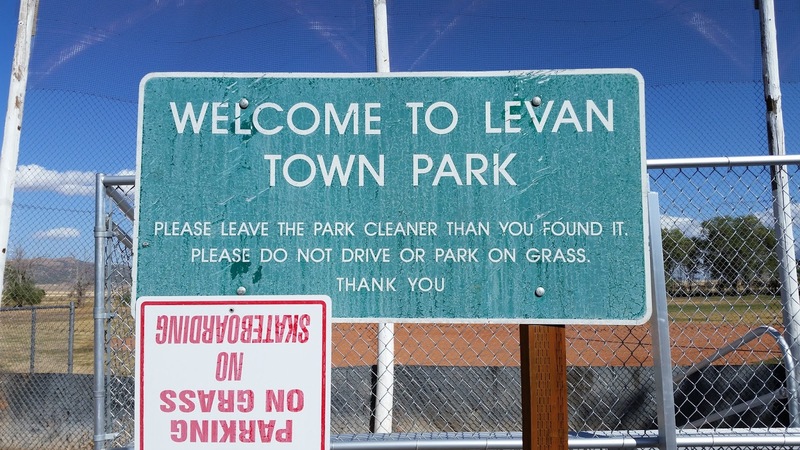 Levan Town Park, like most town parks I've stayed in is definitely not a destination camping opportunity but as an overnight place to stay it runs rings around Walmart parking lots and the like. I'd stay there again if it was on my drive path.